NSC recently awarded BrainWorks Multimedia with the 2015 Safety in Excellence in Highway Safety Award for Driving Safety Training Program Innovations. It was very honoring and exciting for us to receive it and to be recognized by their entire defensive driving team. It takes one text while driving or a distracted moment or a speeding driver to cause an immediate collision that can result in injuries or even death. To Barry and Lisa Von Lanken, founders of BrainWorks Multimedia, educating drivers about these driving dangers for the National Safety Council (NSC) is a way to save lives. Since 2012, the Fort Wayne, Indiana-based company has developed innovative eLearning and video course materials using 2D and 3D animation for regular drivers and professional truck drivers for NSC, based in Itasca, Illinois. For example, one animated video shows how a driver runs a red light, causes a side impact collision and illustrates the devastating effects to body parts from a sudden impact. Because of its work, NSC recently awarded the company with the 2015 Safety in Excellence in Highway Safety Award for Driving Safety Training Program Innovations. “It was very honoring and exciting for us to receive it and to be recognized by their entire defensive driving team,“ says Barry Von Lanken, president of BrainWorks Multimedia. Based in Fort Wayne, Indiana, BrainWorks Multimedia, http://www.brainworksmultimedia.com, develops training solutions targeted to the specific needs of their client’s audience using rapid eLearning development software. 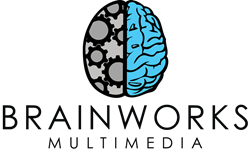 BrainWorks also provides full video production and editing, animation, graphic design, instructional design, learning management system support and webinar development.